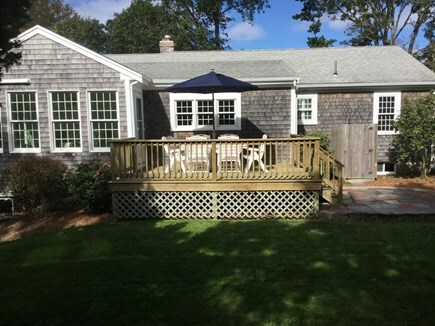 Short Safe Walk To Skaket Beach, Award Winning Home! View of the charming cottage coming from the beach! 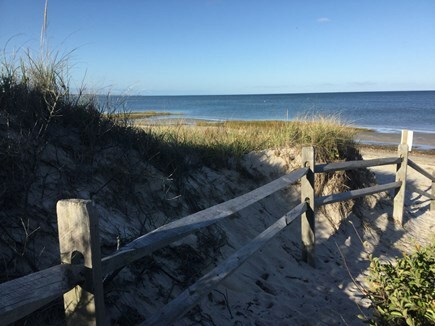 A short walk to Skaket Beach on Cape Cod Bay. Open kitchen/living room runs from front to back of the home. Beautiful sun porch overlooking the landscaped back yard. Master bedroom with queen size bed and its own flat screen TV. Master bath off the master bedroom with a double size shower! Guest bedroom with queen size bed. 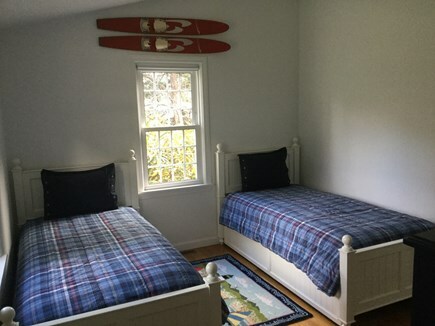 Third bedroom with 2 twins. Guest full bathroom with tub/shower combo. 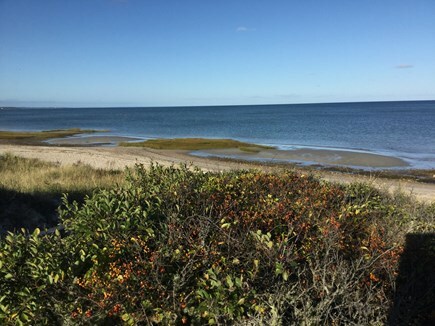 Shark-free waters on Cape Cod Bay! YOU WILL FALL IN LOVE ONCE YOU OPEN THE DOOR! If you are particular, this home is for you!! 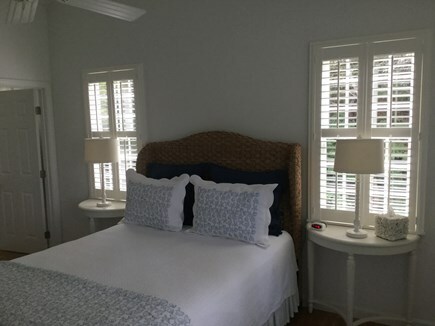 It is unlike most rental homes with its high end furnishings, attention to detail, closeness to the bay and relaxing coastal decor. This is why we rarely have availability, as most of our families return every summer. Completely renovated with CENTRAL AC. 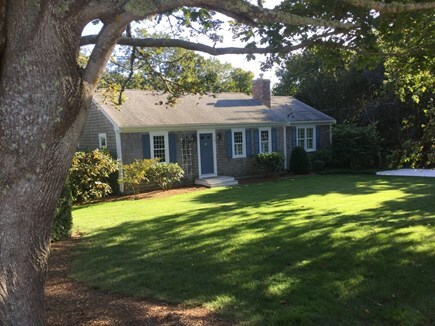 This home is located on a private, secluded street with a Short, Safe, enjoyable walk to the Bay and Skaket Beach. Wonderful for families with no worries. If you want to be close to the bay, on a 1/2 acre lot in a 5 star home, this is it! 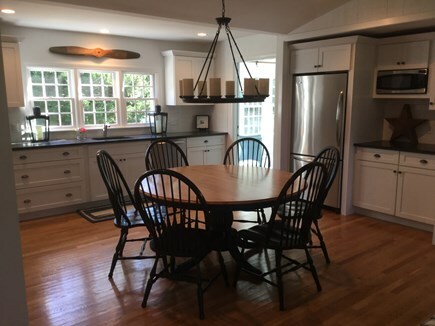 The kitchen is fully equipped with All Clad Stainless steel cookware, a wide assortment of small appliances, and everything necessary for even a gourmet cook. There are 3 bedrooms in a split floor plan with a master suite on one side and 2 separated bedrooms with an additional full bath on the other side. The open large living room/kitchen combo is perfect for family gatherings. 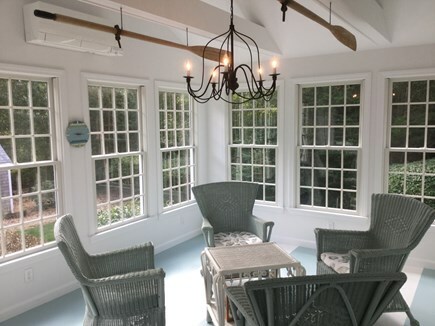 The air-conditioned sunporch looks out onto a private, landscaped back yard and an outdoor deck with polywood furniture. Below is a slate patio with a gas grill and a H/C outdoor shower. There is also a finished game room in the basement with a ping pong table for those family duels. We offer sand chairs and an umbrella for an enjoyable time at the beach. Sheets, pillowcases, bath and beach towels are NOT furnished. 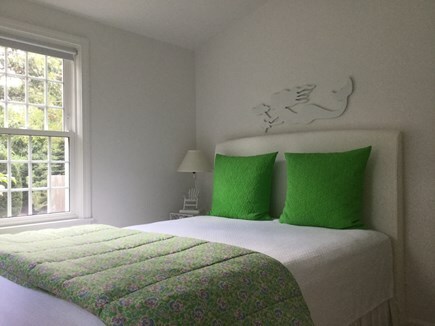 We are very close to many fine restaurants, family dining, shopping, the bike path for riding or walking, also boating, kayaking, fishing and many other activities!! Not to mention the great sunsets at Skaket! The Cape offers a variety of family adventures including museums and historic venues. Additional pricing info: Prices listed are the total price. State and local taxes of 12.45% will apply. What can I say about this incredible home? We have been renting for many years and never posted a review with fear of not being able to rent the weeks we want each summer. It is so outstanding in all ways; we tried to purchase it but the owners know they have a jewel. We just purchased a home right around the corner to spend our summers at and will not be returning, so we feel safe in letting others know that this is the one you want to rent!!! Thank you b & c for your hospitality thru the years. Can't wait to be neighbors. 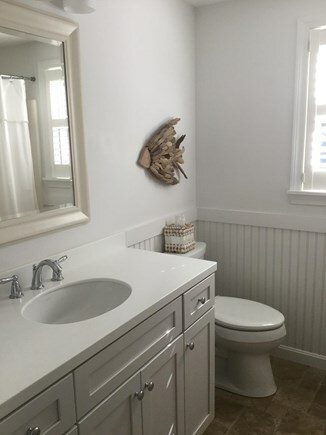 If you want a rental home that checks all of the boxes, perfect location, furnished with the best, a quiet neighborhood with a walk to the bay that is one of the closest, this is the home for you. What a relaxing, enjoyable vacation. The best! Now we experienced why your home is award winning! 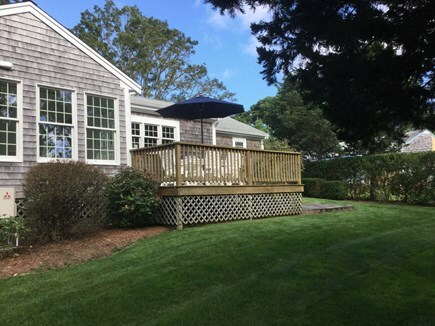 A truly incredible home with the best location on the Cape! The central AC this summer was AWESOME as was everything else. Thank you so much for letting us stay in your wonderful cottage by the bay. Your home is absolutely wonderful in every way. Can not wait to get back next summer. Remember keep us in mind if you ever want to sell your home. Love it!! Best vacation on the Cape ever! Have been coming for many years and this home is where we will stay from now on. Everything is top notch, from the furnishings, to the location even the owners. Many thanks for letting us stay at your amazing home! What a vacation we had! 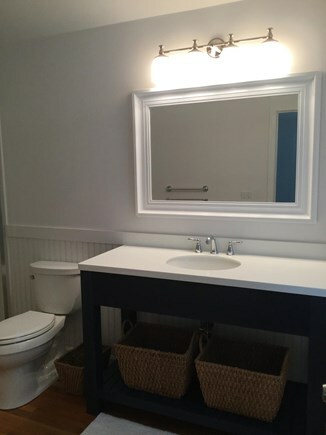 The home is meticulous, unlike other rentals in the area, and we have stayed in many. If you want a five star accommodation this is it. 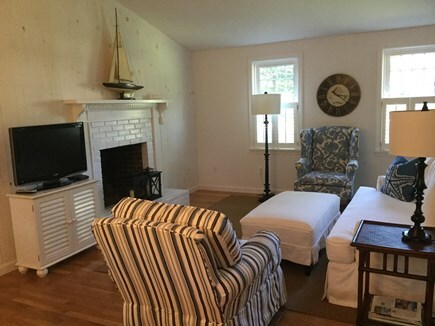 Everything you could possibly want or need is here and the closeness to the Bay with a safe, enjoyable very short walk to the water is unmatchable. The home has many relaxing areas living room/kitchen/dining area, sunporch, game room, spacious deck and beautiful yard. The owners are easily accessible if you have any questions. Actually they want you to kick back and enjoy their home. We could not ask for a more wonderful vacation. We will be back for many years to come! Another great year like all the rest at your FABULOUS home! We have tried to keep your home a secret so we can be assured the weeks we want will be available but you always try to accommodate us.